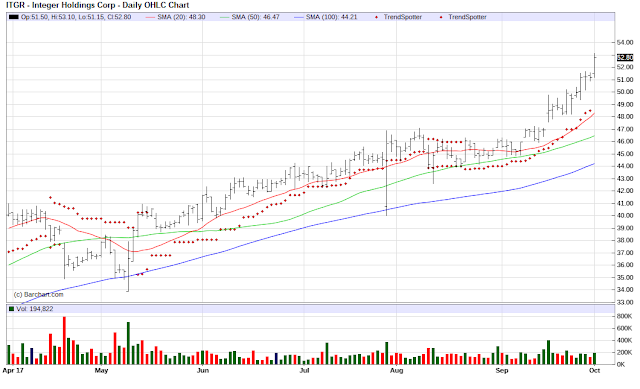 Integer Holdings (ITGR) is the Barchart Chart of the Day. The medical device company has a Trend Spotter buy signal, a Weighted Alpha of 138.44+ and gained 143.43% in the last year. 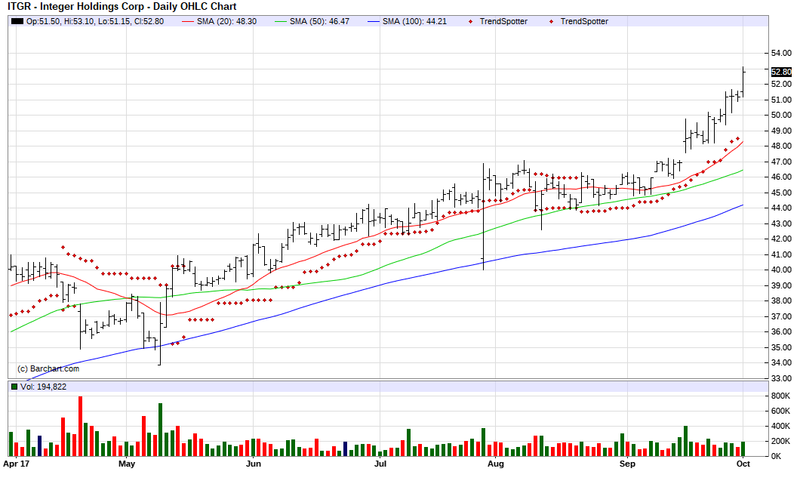 The Chart of the Day belongs to Integer Holdings (INGR). I found the medical device stock by using Barchart to sort today's Top Stocks to Own list first for the highest Weighted Alpha, then again for technical buy signals of 80% or more. Since the Trend Spotter signaled a buy in 8/22 the stock gained 11.07%.